Series exploring scientific issues. Michael Mosley uncovers the surprising new research about exercise that has the power to make everyone live longer and healthier lives. 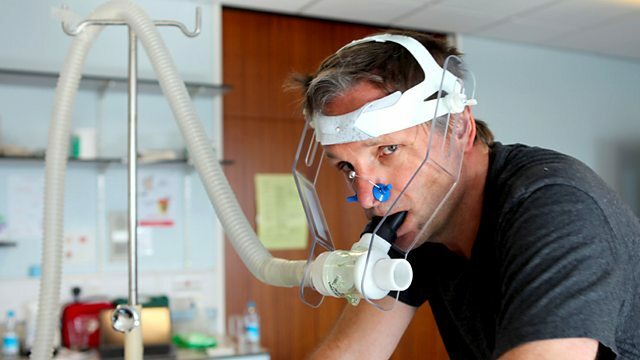 Like many, Michael Mosley wants to get fitter and healthier but can't face hours on the treadmill or trips to the gym. Help may be at hand. Michael uncovers the surprising new research which suggests many of us could benefit from just three minutes of high intensity exercise a week. He discovers the hidden power of simple activities like walking and fidgeting, and finds out why some of us don't respond to exercise at all. Using himself as a guinea pig, Michael uncovers the revealing new research about exercise that has the power to make us all live longer and healthier lives. Is three minutes of exercise enough?